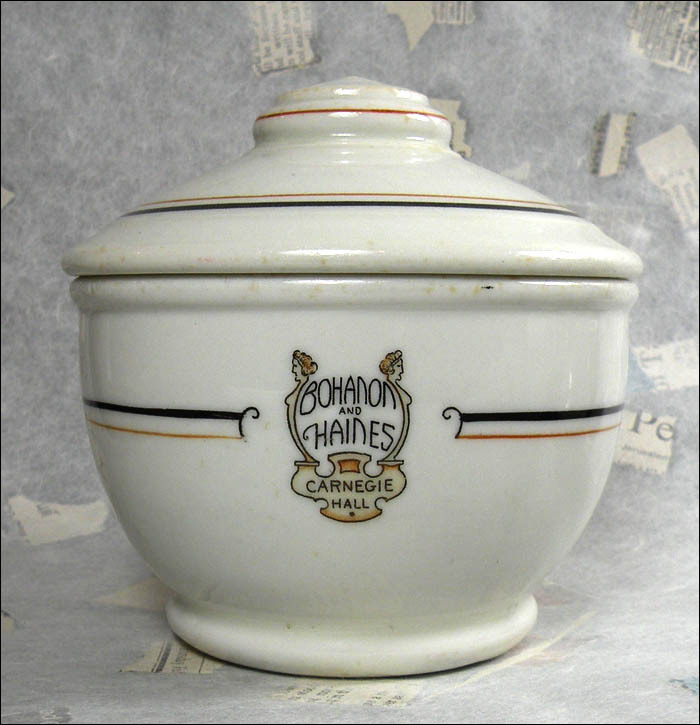 This handsome covered sugar comes from a restaurant named Bohanon and Haines in Cleveland’s Carnegie Hall, which was built in 1924. 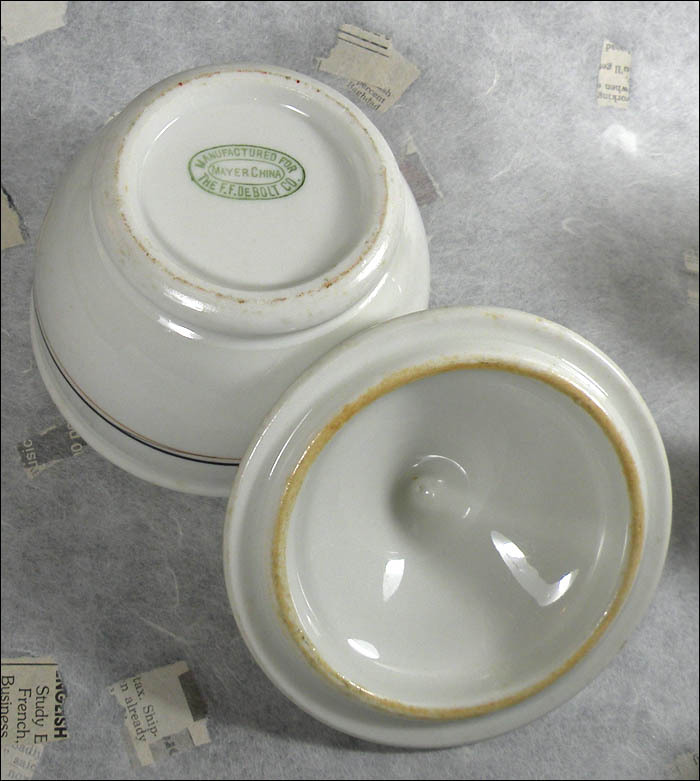 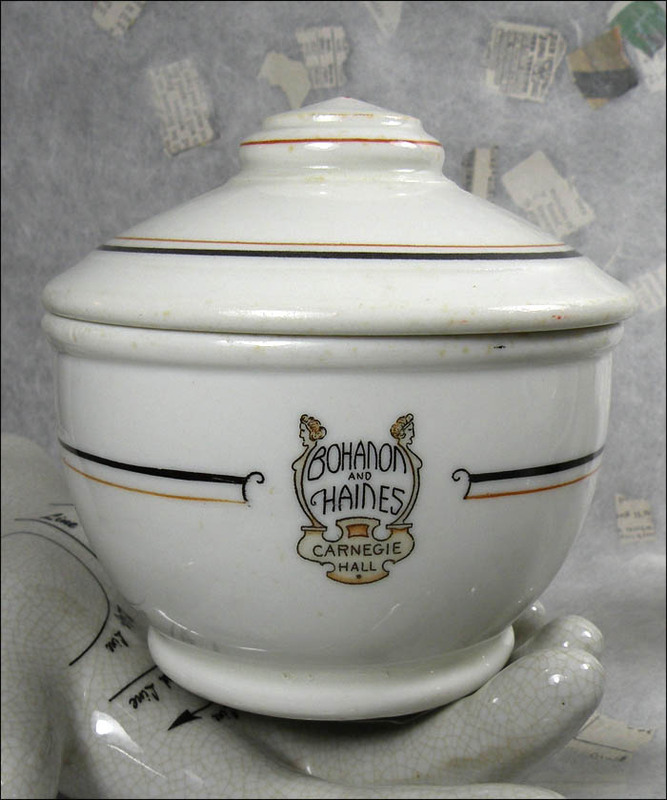 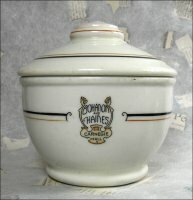 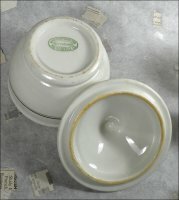 The backstamp on the bowl dates it to around 1926. 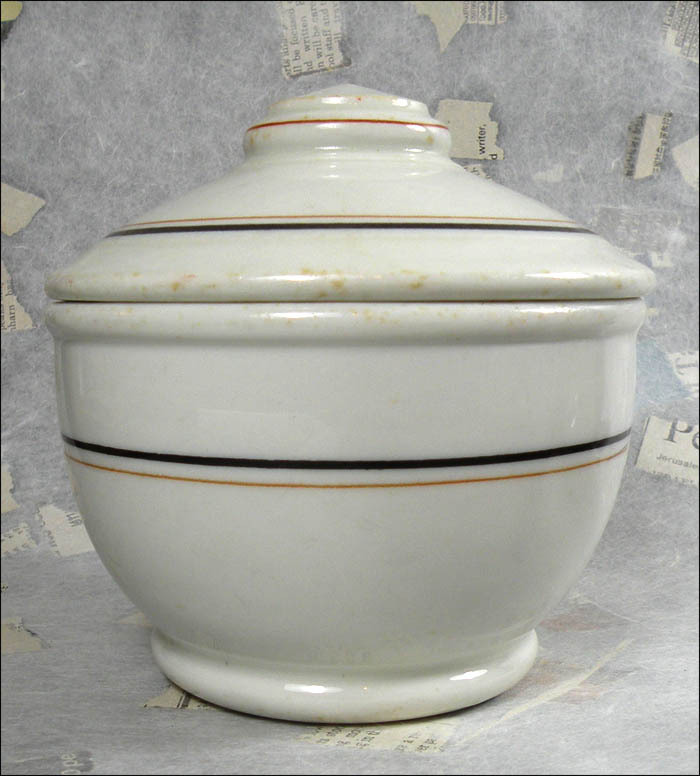 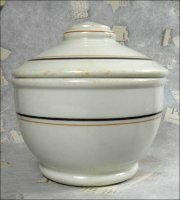 The bowl is about 4 3/8” in diameter and 4 ½” high. 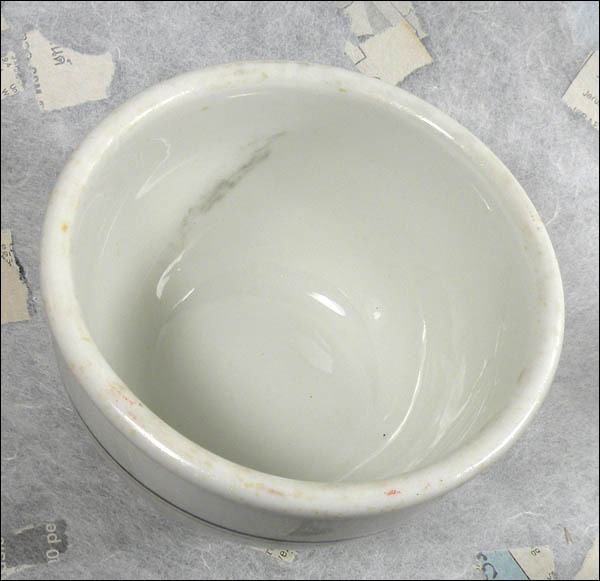 Though shiny and in excellent condition, it does have medium use marks and discolored age spots.